Tuesday’s election, remarkably, makes the third Town Council election in Leesburg in the past 12 months, including two special elections (in November 2017 and in February) to fill vacancies because of council resignations. And, perhaps just as remarkably, this election cycle finds all but one of the current seven council members on the ballot; the lone exception being Councilman Josh Thiel, who won his seat in February’s special election. Mayor Kelly Burk is squaring off in her first re-election bid for mayor against two of her council colleagues—council members Ron Campbell and Tom Dunn. 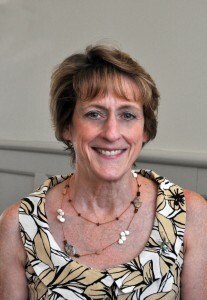 Burk first won a seat on the council in 2004 and, three years later, was successful in securing the Leesburg District seat on the county board. 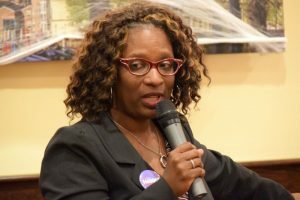 After failing to win re-election to the Board of Supervisors, she returned to the council following a special election in 2012 and was elected mayor two years ago. Campbell won his first bid for the council in 2016, and two years into his four-year term, is looking to attain the town’s top post on the dais. This is Dunn’s third bid for mayor, following unsuccessful runs in 2010 and 2014. He has been a member of the Town Council since 2008. On the Town Council slate, five candidates are vying for three seats. 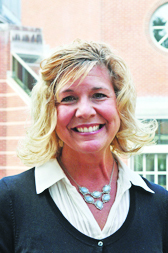 Incumbents Suzanne Fox, Vanessa Maddox and Marty Martinez are looking to serve four more years. It will be Fox’s first re-election bid, following her first council victory in 2014. 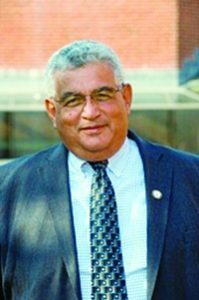 A win Tuesday would bring Martinez back to the council for a fifth four-year term, as he first won election in 2002 and is the longest-serving member of the current council. Maddox has been on the Town Council for not even a full 12 months, as she was the victor in last November’s special election. This time around, she is looking for her first full four-year term. It is Neil Steinberg’s second bid for a council seat; he was the runner-up in February’s special election. 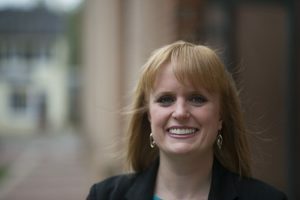 This is Kari Nacy’s first run for office. Loudoun Now asked each of the candidates to provide their top three priorities if elected or re-elected. Candidates were also asked to share their views on more specific topics, including the town’s budget, partisanship on the council, and development philosophies. 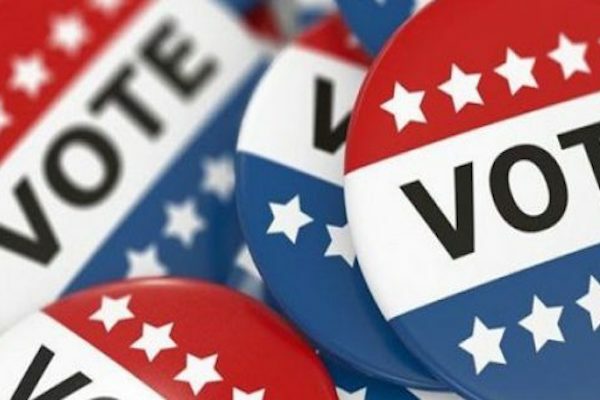 Those responses may be viewed in our online election guide at LoudounNow.com/Leesburg2018. Please provide your top 3 priorities if elected (or re-elected). Growth. I believe firmly in growing Leesburg in a manner that addresses our development challenges and retains historical preservation, all with an allegiance toward our community character. Integral to our success is always taking into consideration the impacts on transportation, increased demand for public services, and balance that with the need for a robust economic base. Our diverse population means finding creative ways to bring everyone to the table for community decision making. Economic development. Leesburg must remain attractive as a place to live which serves to attract businesses looking for a strong workforce and a healthy living environment. We must keep our downtown exciting, encourage areas where people can enjoy experiences, have a robust transportation network, and an active nightlife economy to remain an attractive town. Integral to growing our economy is connecting our communities to new ideas, resources, and opportunities. Loudoun County is a hub of economic development, and I will work toward an improved multilevel partnership to ensure the interests of Leesburg are represented. Leesburg has wonderful natural and built resources that position us well now and for the future. Quality of life. We must always be looking to improve the quality of life with the creation and promotion of health, wellness, and cultural activities for our youth, families, and senior citizens. Community amenities must take into consideration the diversity of our population and plan for now and the future. Expanding art in public spaces can be used to connect our diverse population with our common spaces. Has the Town Council become more partisan? At the town level, issues revolve around streets, plowing, and trash, and they typically do not generate partisan division. Effective leadership is about championing the people’s voice. During my time as mayor, the Town Council agenda and votes represent a council that works together and moves forward ideas with value. One of my opponents is trying to perpetuate a partisanship narrative that treats anyone with a different viewpoint as an obstructionist. The offensive part of partisanship is the way in which some people with opposing positions treat one another, and I believe we can disagree without being disagreeable. What is the biggest threat to historic preservation efforts in Leesburg? How would you work to address that threat? Part of what makes Leesburg an attractive place to live and work is our cultural heritage and historic downtown. Many buildings and homes have been restored to a modern standard blending the past with the present, and our zoning should continue to encourage that preservation. I am committed to having a robust and well-educated preservation planner to guide the council. Development is a threat to many historic sites that do not include buildings, such as the slave cemetery in Leesburg, and our decisions continue to be guided by the idea that our history is crucial for our present and future. How can the Town Council keep the positive momentum going in the historic downtown? Despite the surge in economic activity, are there still areas downtown that need to be addressed? With several new businesses opening in the last few years, Leesburg’s downtown is undergoing a shift to the next generation of entrepreneurs who bring with them a new energy to our town. There is always room for improvement and we should search for ways to build on past successes to get the momentum toward continued economic development and that includes working side by side with the Downtown Leesburg Business Association. Residents’ quality of life and economic development are intrinsic to each other; good paying jobs, low unemployment, and multi-level transportation along with community amenities, infrastructure, and services ensure our continued vitality and positive growth. Our festivals and community events have been a part of revitalizing not just downtown Leesburg but the town as a whole. We need to take a look around town and do an assessment of what properties are critical to the town. We may have missed the opportunity to save Roger’s Farm. The house is lovely and has long been earmarked for preservation in the Town Comprehensive Plan. We should have acted earlier. Are there other areas that we should acquire for either expansion of existing parks, creation of parking decks, or other amenities? Yes! This is one of the items I will be bring forth. Some have said the town and Loudoun County need to work together better. How can this relationship be improved? What are specific initiatives and/or that the Town Council and Board of Supervisors should collaborate on? One of the most important initiatives the county and the town could work together to complete would be planning of the Joint Land Management Area. This is the area that is expected to be annexed into the town at a future date. The town and county need to plan that area, so it supports the vision of bringing it into the town. The Chair and the Leesburg Supervisor have been very open to meeting with me and discussing county issues that impact the town. This cooperative relationship has benefited the town residents. The county does provide Leesburg government services presently but there is always room to work for increased assistance from the county governmental body. Economic development is one area I would like to improve the relationship with the county. We would benefit from working with the county economic development department in a cooperative rather than competitive relationship. It is important to remember that the town provides services to its residents that county residents do not get, and we need to make sure that the town residents get county services from their county tax dollars. With the possibility that Kincaid Boulevard will remain closed upon the opening of the new soccer stadium, how can the Town Council work to address traffic congestion in the area? The residents of Kincaid Forest were promised by the Loudoun Board of Supervisors that Crosstrail Blvd would be completed to Russell Branch Parkway and on to Rt.7. Without the completion of Crosstrail Blvd. the congestion on Sycolin will only increase as the stadium hosts games, graduations, concerts, practices, and other events. The Leesburg Police will work with the county transportation people to try to decrease the impact by coordinating the lights in town but traffic on Sycolin Road will be difficult until there is a smarter solution — building Crosstrail Boulevard to Rt. 7 and the Greenway. When Crosstrail Boulevard is completed, it will take a large portion of the traffic directly to the Greenway or Rt. 7. Therefore, it is significantly important for Crosstrail Blvd to be completed near or before the stadium is open. Then Kincaid Boulevard can be open to through traffic. Campaign website/Facebook page: electroncampbell.com, facebook.com/Ron-Campbell-for-Leesburg-Mayor-533471840354375. I am humbled by the opportunity to ask you for your vote to become the next mayor of Leesburg. I am running because Leesburg needs a mayor with experienced and proven leadership that values the inclusivity of all voices and has the ability to help provide a vision for the future. The economic strengths of Leesburg must be marketed beyond our borders to attract creative land development projects that deliver new businesses and new jobs. We must address senior living options as well as support affordable housing policies to keep our town livable for all. The town comprehensive revision work must be started which will provide a new vision for Leesburg that incorporates future residential and economic opportunities. I have the leadership and budget experience to make sure we get full value from your tax dollars paid to Loudoun County. I have the voice and the passion to advocate on behalf of all our children and parents to make sure that schools in our town give all students the best chance for success. I will deliver a responsible and transparent budget that keeps services and staff at an efficient and accountable level. I will work to preserve historic Leesburg by developing policies that document and celebrate the history of all people that have contributed to the historic nature of our town. Leesburg is at a critical point and the decisions we make now will affect the future of how our town grows and prospers for the next two generations. Has the Town Council become more partisan? If so, how has that partisanship affected running the town government and is there a way to reverse that trend? Since the town elections were moved from May to November the ability for local, statewide and national politics to effect endorsements and governing decisions has increased. In today’s partisan climate on Leesburg Town Council, supporting or opposing decisions are seen as keeping the party line, or breaking with the party with little consideration for voting for the best solution that serves the people. First, I would support moving elections back to May. Second, the people have to favor electing candidates not along party lines but elect the best person you believe in to represent interests that affect the Town. When we can get a governing body that is willing to discuss and seriously contemplate the issues that are brought before us, then it might be possible to move away from the partisanship. Lack of continuity of our historic organizations and lack of support for organizations that support historic preservation. Loudoun County has the documents, records and more human talent as any place in the country. We have the volunteer passion and professionals who are our biggest assets to leverage our recorded history and artifacts into experiences that can make our community proud and our town a destination. The Loudoun County Courthouse and the Thomas Balch Library are two resources that must be embraced and used better to understand our history and potential partnerships with other museums, libraries and historical organizations. We as a community need policies to identify and protect our historic assets. We need to partner with local communities and celebrate our shared history. And we need to improve our fundraising and grant efforts to support preservation work throughout the county on a more unified basis. Some have said the town and Loudoun County need to work together better. How can this relationship be improved? What are specific initiatives and/or programs that the Town Council and Board of Supervisors should collaborate on? At a recent Board of Supervisors meeting on the issues related to the new stadium development in Bolen Park and after listening to some members of the board ignore the concerns of the community and denigrate the Town Council for our position, I was the only Town Council member present willing to speak about the project and the impact on our citizens. 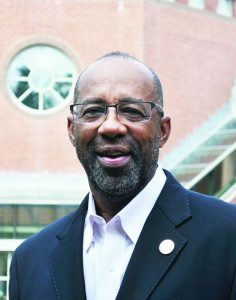 The Town Council and the Loudoun County Board of Supervisors need to arrange for at least four joint work sessions during the course of each year. There needs to be a defining document developed that outlines the town/county relationship for human services, taxes, joint land development, economic development and schools. Some Town Council members have suggested the Loudoun County government should contribute more to certain operations run by the town, such as law enforcement, parks or the Leesburg Executive Airport. How do you feel about this? What areas do you think the county should contribute more financially? First, we need better collaboration and set in writing statements that define our relationship and make a list of operations can be more efficiently provided by the town or county. We need to define what it means to be the county seat of Loudoun County? Second, we need to define our core operations and services for the town and identify where they also support the county. I believe in our separate police department, but we need to talk about the Volunteer Fire and Rescue services as our town has grown and the demand for those services has also increased beyond current staffing levels. Third, we must have serious budget and tax discussions to identify the value to our residents and to make sure we get a fair return of financial or service value. Many have pointed to current employment gaps in the service industry as one area that underscores the need to provide affordable housing in or near Leesburg. What is the solution to providing affordable housing in town? What role does the Town Council play in this? I have spoken with many business owners and town employees that agree that affordable housing is not available in Leesburg. Loudoun County has special financial programs to support their employees in purchasing housing and has an affordable housing development policy to work with developers to provide housing options in many of their residential projects. Leesburg has a similar policy that has not been fully enforced over the last 10 years and only this past spring was the policy reviewed and new target goals were identified. Affordable housing is a positive direction that can address the needs of our economically diverse community and those whose jobs in our growing service and hospitality community limit what they can afford. The Town Council needs to be more proactive in setting the direction for the developers, overseeing the compliance by working with the planning staff and deliver on the expectations of our community to have a variety of housing options. Historic downtown is more than the outside of the buildings and we are fortunate that the new commercial businesses are attracting new interest in living, working and playing downtown. It’s a new partnership that must be developed with property owners and business owners to share in celebrations, events and joint marketing efforts with the town to attract visitors and residents. We must understand that Leesburg is bigger than downtown and other retail and commercial areas are being planned and some are ready to be delivered next year that will have a commercial impact on downtown. Good planning will ensure that we cause no harm to our historic center. A few issues have been identified that will have to be addressed in the near future including parking, residential density and the noise ordinance. We must sit down face to face with the Loudoun County Board of Supervisors and work on a solution which also includes the construction of Crosstrail Boulevard. The blame game at this point is not an effective strategy for developing the next steps forward. We must avoid opening the stadium without a solution. At this time there is no proposed council action to negotiate with the Board of Supervisors. Sending letters does not work. Battlefield Parkway is complete, Rt. 7 and Rt. 15 interchanges are in the design phase. What is the next transportation priority for the town? The town is in the design stages for projects involving interchanges at Fort Evans Road and Rt. 15, Edwards Ferry Road and Rt. 15. This will provide solutions for residents to cross safely at both intersections and include bike lanes. The town is working with the county on the design of the Rt. 15 North project and has submitted comments about the proposed design. There is a new project to be submitted for funding that involves adding new lanes for Rt.15/Rt. 7 westbound from Market Street to the end of the town limits going west. All these priorities have time sensitivity as they cannot be delivered fast enough to resolve the current traffic problems or the future growth that is already in production. Beyond the road projects, we must begin to focus on completing bike trails around the perimeter of town and a better (timelier/more reliable) internal bus system to support residents and decrease the need for additional parking downtown. In this year’s budget, the council approved four new staff positions but the town manager has predicted staffing needs – in the police department and utilities, to name a few – to keep up with the growing town population and service demands. Are there areas where more positions are needed? Can the town afford to expand its staff? Does the council need to look at increasing the tax rate to accommodate the growth of the town as a whole? The current town budget does not adequately fund the increased need for town police, town public works staff, deferred maintenance projects, road maintenance and technology upgrades just to name a few items. The philosophy of the past and current Town Councils has been to keep the tax rate artificially low for political purposes and then use a measure (the equalized tax rate) to have citizens believe that they have the same or lower tax rate as the previous year. Tax increases alone cannot and should not be used to fund all the increased demands for staff or services. We must look for service and operational efficiencies and use tax dollars better. We must use best practices when sourcing products and services and get the best pricing and not waste valuable financial resources. We must look at increasing our commercial tax base and not our residential tax base. We get more tax revenue from commercial projects and we spend more tax dollars to support residential projects. We must look to develop public private partnerships for parking garages, land development projects and town operations. These types of projects deliver increased revenue while lowering operational expenses. We must use our tax dollars responsibly, make important investments in our people and services, eliminate wasteful inefficiencies and strategically develop a budget process to address our outstanding priorities over a period of time. There are many priorities before the town. I have done what my two Democratic opponents have failed to do, and that is vote against tax increases, and seek tax dollars and services we do not get from the county. I support preservation of our historic district, ensuring government regulations are in line to help our citizens and business partners, providing safe, clean streets and utilities. To reach priority success, we need a Town Council preforming as an effective body, which it is not now. Council has become beholden to staff and special interests. However, I focus on citizen needs. To be effective I will bring open government back to council. Under the current mayor, council and staff have limited discussion time. Council represents the citizens before town government. When council is stifled, citizens are stifled. There are council members which see their job as only endorsing staff and thus say nothing. The town staff is over represented while citizens are under represented by this council which needs citizen-based solutions. I will reach out to help any member feel comfortable addressing the issues before the town. The current situation is not all by design, some of it is a natural occurrence, a result of having many new members on council. Our four newest members lack any substantive previous town experience before getting on council. One member wants to be mayor after one year on council and always asks unknowingly what the process is. I have 19 years’ experience to willingly share. I spearheaded changing town elections from May to November 2012. The Democrats opposed it at the time and were wrong because 87 percent of the voters wanted the change. While the Democrats have become very partisan during elections I am still glad the date change brings more people into awareness of local issues. However, to label local politicians and policies with national political concerns is not fair to anyone. My two Democrat opponents seem to be more focused on political party. Burk is running completely as “I am the Democrat” with almost no mention of her policies such as raising taxes and wanting to reduce your home value by government forcibly setting under market home prices. Campbell is running as the ignored Democrat who lived here 16 years uninvolved in town government and was repeatedly turned down by his party and council for lofty positions only he felt he deserved. Partisanship is at a different measure within every person. However, on council it is more about personal Ideology or political thinking. Of course, personal beliefs can align within the framework of party beliefs. The most consistent party belief I see is dealing with town staff. The Democrats on council accept their actions without question, while as a conservative I hold staff accountable for their actions. I for one do not think about political party when I am making my decisions. I have always thought about the unspoken thousands of citizens in Leesburg and what they would want. Of all the national partisan issues the only ones that come close at the town level are taxes and how they are spent which is the role and scope of government. Council only gets involved with national issues when someone or some group wants to turn us into activists. There are council members like my two opponents who like to use council to support activist positions which have little or nothing to do directly with Leesburg. When council goes off into these extremist political roles it takes away from our real jobs of serving the citizens with non-partisan roads, non-partisan trash pick-up, with non-partisan water. I say to activist opponents for mayor, do your current job right 100 percent of the time before you start branching out. The biggest threat is council members being swayed by special interests which results in major changes for just a few true requests. The businesses in the historic district have been given more attention than anywhere else in town. There is always more and more demand for council to make exceptions to our historic preservation policies in the historic district. But it is not just businesses, it is also government. The courthouse expansion is excessive. Because of council members who were afraid to stand up to county government and demand a little less mass we have historic buildings being torn down. The court also brings an excessive Pennington parking structure which will be half empty most of the time. I opposed both these measures. Then council plays favorites. If you are a friend or donor to the mayor you can put non-historic features to your buildings or not maintain your building. If you provide my other opponent with a place to drink his beer then you can have tents, trucks, flags, banners, chairs and signs blocking sidewalks and likely whatever else is needed to change the historic district to fit their business desires. The success for the businesses downtown is the draw of historic aspects that they now want to change. This is wrong political thinking, not partisanship. If business plans can’t work within the framework of the historic district then Leesburg has plenty of available commercial space all over town. Council has always dealt with the county and Board of Supervisors from a position of weakness and timidity. Firm, fair, honest and respectful negotiations are needed. And holding town staff accountable to properly and timely convey council policies is very important. I have had many meetings with the county board and staff. They come into the meeting knowing what they want and too often they get it at the citizens’ expense due to a council which caves. Much of it is again due to wrong political thinking, not partisanship. There are services the county is required to provide to the town. The county provides these services to other parts of the county without any other agreements being written. They need to be held accountable to provide these services without the town having to create multiple levels of government. My opponent wants more levels of government; I want efficiency. I believe we need to have our supervisor representatives meet with us informally on an ongoing basis. Instead, the current supervisor only talks to the mayor and other Democrats on the council. That is not good. “Some members?” For 10-plus years I was the “some members” who has advocated for more from the county, not the current mayor, nor my other opponent, nor any other council members, who have chosen not to be proactive with the county. These politicians have blocked efforts to merely ask the Board of Supervisors for help with funding for Leesburg Airport, Balch Library, parks and public works projects like flood control. It was only this past year after repeated pushing that “some members” tried to act but got scared or intimidated. I brought forward a county funding request for $8,000,000 to help the airport. This council voted it down because one Airport Commissioner wanted control and told them to do so. I was the lone council member to stand firm against the pressure from this commissioner and said yes to the funding request. Then after years of trying to get council to stand up for the citizens of Leesburg and get our share of county funds which we pay I was finally successful. Council put forward almost $16,000,000 in requests. Burk said “I don’t know, we should not ask for so much” (county turned down a $400,000 request last year) but going low does not help with the county which loves the extra funds Leesburg gives them. Campbell said NO to whole funding request; NO to helping Leesburg citizens getting back something for what they paid for. My opponents and other long serving council members don’t seem to like making firm and strong requests of anyone in government. This is where political thinking is not working for what is best for Leesburg. I hold town staff accountable for being protective in making requests for their programs and independence from the county. They routinely fail to consider the county to help with our projects. Loudoun County sets our affordable housing limits. Recently council requested and got an amendment from 40 to 185 the number of Affordable Dwelling Units Leesburg will provide. Affordable housing also means more growth, more traffic and more-crowded schools. It also could affect home values. I would like to see more market-driven solutions and better government initiatives. For example, I would rather work with the county and school system to have bonuses added monthly to the checks of teachers and first responders who choose to live in the community for a certain number of years. This helps create community without depressing home values. Affordable housing means many different things to everyone. My opponents may have good intentions but they have no experience in this area at all. Their ideas to use government to artificially lower home values can very likely cause your home value to go down. 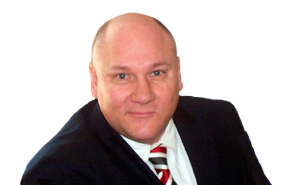 I have 18 years’ experience in mortgage banking and real estate. The value of your home is determined more by the value your neighbor sells for. Sure, we can all make improvements to help value but lower value homes nearby will impact your home. Plus, the idea that Leesburg will create housing for workers who can’t live here is not dealing in reality. A worker driving to Leesburg from Front Royal who can now live in Leesburg because of housing will likely find better work in Fairfax. The idea of project type housing would be sending Leesburg in the wrong direction. If low income housing is needed then let’s work on increasing income. Downtown Leesburg’s revival is primarily due to deregulation initiatives started on the Town Council in my first term, such as limiting Board of Architectural Review of applications to 60 days, revamping our sign ordinance and streamlining our approval process. It has nothing to do with the nearly $2 million wasted on the wider sidewalk on King Street, which took away parking, and which my opponents supported. It would have been preferred if the Board of Supervisors had put the courts garage on the Times-Mirrorlot instead of the Pennington lot and I was the only one on council to oppose that. The downtown gets more attention than any other area of town. I think it is doing well. I do have concerns that my opponents’ lackadaisical nature to allow small changes here and there will result in major issues in the future. But we need to keep in mind that improvements have to be well measured against the needs for historic preservation. History lost is not recovered. My first priority is to stop completely any cut-through traffic into Tavistock, Kincaid and Stratford or any other southeast neighbor affected by events at the stadium. I will ensure police limit traffic to local citizens only and that speed limits will be strictly enforced. I would have Leesburg police direct traffic to Sycolin Road and to Battlefield Parkway. Whenever Kincaid is open there will be the strictest enforcement of traffic laws and non-local drivers may be directed to Crosstrail Boulevard rather than cutting through neighborhoods. Completing Crosstrail Boulevard from the Village at Leesburg to Kincaid Boulevard is the first step. I am pleased the Board of Supervisors put this road back in the CIP [Capital Improvements Program] and floated bonds to pay for it. However, until the county begins construction on the road, and only until it is completed, should the council lift the barricades. People complain about politicians who break their word. In this case council is keeping its word to the citizens. Keeping that commitment to the community is important and prevents the supervisors stopping Crosstrail’s construction. The soccer stadium, unfortunately, is a done deal, and was pushed through by the board without complete thought of all that was needed for success. Even while we wait sometimes for large funds to manage traffic there can be practical solutions which can achieve goals. It was my efforts that got the trucks off Battlefield Parkway. Staff did not like this but I pushed it through, and it has improved safety and limited congestion. I also asked for the Battlefield and Rt. 15 North intersection improvements which have greatly reduced congestion. I also want to get the trucks off Battlefield Parkway in the southeast part of town. We do not need through trucks going past our schools, churches, and shops. I also want to work to get direct access to the outlet mall from Rt. 7. The next big project is the interchange at Rt. 15 and Battlefield Parkway near Exeter and the Potomac Crossing neighborhoods, especially with approval of widening US 15 Bypass north of Leesburg. Against the wishes of town staff, which has frowned on the viability of this interchange, and did not get funds for it in 2015, I supported putting this project in the town CIP for 2022 and, as a result, the NVTA [Northern Virginia Transportation Authority] has funded the initial interchange justification report. It is an example of council being proactive and standing up to staff. I also believe we will need to widen Sycolin Road south of town (which is a county project) and sections of the Leesburg Bypass. The town manager came into the job years ago with the proclamation that he was not one to skimp or cut things tight. He believes in ALWAYS asking for more. Anyone can do a good job with everything they ask for, but the real measure is making things happen with what you have. We have demoted directors doing $40,000 a year income jobs but still getting director pay. This is wrong! We have had employees doing the same job but one was left around for a year so he could retire with more income. That is wrong! We need to staff any shortages we have in the police department. I opposed the “enhancement” which is what the town manager and council called increasing staff positions. My opponents entered into the land of absurd when they justified increasing taxes to pay for “enhancements” that the public would not benefit from at all. Claims of population growth went from 55,000 to 70,000 within days during budget discussions just to demand more tax increase. This is again political thinking gone wrong. The former town manager cut jobs years ago and there was no loss in service to you the citizens. My opponents want to keep growing government. However, there are many little used services in town which continue to be fully staffed. This is waste. According to staff and willingly accepted by my opponents, those “enhancements” were in the planning inspection area so we can approve development faster. When did we as a community become so interested in bringing in lots of new housing development? I opposed the “enhancements” otherwise known as wasted staff positions. My top priority is to try to foster the reversal of the growing partisanship in town politics, to make an extra effort to improve the tone and quality of discourse in our town government. I honestly believe that party politics has been an obstacle to effective cooperation and good governance. Second, we need to ensure that we are not handicapping our local businesses through over-regulation, oppressive fees, and unreasonably long and complex approval processes. Our businesses are the life-blood of the town, and we do ourselves a great disservice strategically when we create an environment that is perceived as hostile to new and existing business interests. Finally, we need to get serious about traffic management in and around Leesburg, both through our own capital projects and planning and through collaboration with the county and state. With the inevitable continued growth that Leesburg and the surrounding communities are facing, it is important that the town engages in effective strategic planning for anticipated future needs while continuing to address our most pressing current traffic issues. Over the course of the last two decades government at all levels seems to have become more partisan. Here in Leesburg, this trend has possibly been exacerbated by the moving of town elections from May to November. At the same time, I believe many constituents have become increasingly dissatisfied with the partisan gamesmanship that often becomes an obstacle to effective collaboration among elected officials. There are no easy solutions for this problem. It is really up to elected officials in the town and at other levels of government to work and communicate with one another in a professional and productive manner…and it is up to the voters to hold our elected officials accountable when they fail to live up to those standards. The greatest threat to historic preservation is not getting enough buy-in and collaboration from multiple groups within the town. For example, I think the Loudoun Museum struggles have been caused, in part, because it has been managed by a small, private entity that was not sufficiently tied in to the various stakeholders with interest in history and historic preservation in Leesburg and Loudoun. We are an historic town and we all have a stake in the preservation of its history. Our history is a great asset to both our business community and residents, but only through improved collaboration will we be able to effectively protect and fully leverage the value of our history. It’s not enough that the town and county just try to reach out once in a while. We need to establish concrete mechanisms for collaboration that facilitate communications and working together. Well-crafted MOUs and joint committees on things such as historic preservation and transportation are a good start. The communication between the town and the board is done mostly at staff level. This has not been effective. Town Council members serve as members of NVTA committees and VML [Virginia Municipal League] committees, why can’t the council and the Board of Supervisors create some collaborative committees? There needs to be an open and honest dialogue about the extent to which Leesburg services, facilities, and parks benefit the residents throughout the county. It is certainly not equitable for the town to disproportionately bear costs of services that benefit the county at large. Hopefully the county and town can continue to work towards a better balance in terms of county services that Leesburg residents pay for through taxes but do not receive. In the not so distant past, we were reminded that we pay for snow removal twice, but we only receive that service once. Affordable housing is a challenge our entire area struggles with. Council needs to be mindful of both employees and employers, and established residents as well. We should keep these needs at the forefront as we watch for opportunities for potential affordable housing development, and then ensure we are able to identify and remove any roadblocks. It is also important that we find some clarity and agreement as to what we mean by “affordable housing,” and have an open and honest conversation with the development community in order create realistic goals for the town. Our vibrant business community deserves the credit for breathing life back in to the downtown. The town’s primary responsibility when it comes to the success of business is to get the heck out of the way. Regulation, ordinances and fees can make doing business in Leesburg more difficult than it needs to be. If the town creates an environment in which it’s easy to do business, we will end up with a downtown that is attractive for visitors and residents alike. Unfortunately, just as the decision to move ahead with the building of the soccer stadium was outside of the town’s control, most of the associated traffic remediation solutions are also outside of the town’s purview. For the few options that are actually under the town’s control, we should continue to work with all stakeholders to ensure traffic solutions that work for the whole community. For me, the next transportation priority are the two lights at Plaza and Market streets and Fort Evans Road and Market Street. We are constantly “fixing” problems on the roads around town. It’s time to address this chokepoint on Market Street obstructing one of our primary gateways. While council needs to seriously evaluate all requests for new positions in light of Leesburg’s rapid growth, we also need to be constantly pushing back, to encourage efficiency and innovation and leverage the potential efficiencies of scale that come with being a larger municipality. Additionally, we must be vigilant in ensuring that the services paid for and provided by the town offer real value to our residents and businesses. Finally, as mentioned earlier, there may be opportunities for savings through more effective collaboration with the county. The tax rate should be set with an understanding that we are stewards of our residents’ hard-earned money and should always be skeptical of efforts to increase the tax burden on our already double-taxed residents and businesses. Candidate did not participate in Election Guide. Transportation – Leesburg transportation issues are not just a local issue but a regional problem. Growth within Leesburg – We need to focus on re-development opportunities, maximize new growth potential for the town and expand town boundaries. Preserving Leesburg’s historic character – I will continue to work with town staff and local businesses to support and preserve the historic district. No. Yes, the different political parties are now endorsing candidates but when the dust settles after the election, council members are concerned about town issues and not partisan politics. Or at least I am. Continued development and a not shared vision on how to protect. To address the issue, I would like to see a joint committee made up of the Board of Architectural Review, town staff, planning and council to tackle how we will protect the historic district and other historic places in Leesburg. Most of our concerns are around the transition areas and ensuring that we have a say in the zoning changes. We meet with the board on a regular basis and discuss our concerns, and not only when an issue crops up. I agree. Public safety and public utilities. We need to work with the county and provide affordable housing units. At this time there is a county program that helps new homebuyers purchase a home. The county and the town should work with developers to build affordable housing units within the new developments. Just keep supporting the small businesses and stay out of the way. Provide easier entry into our commercial areas. There will always be sections in town that we need to address. 7. With the possibility that Kincaid Boulevard will remain closed upon the opening of the new soccer stadium, how can the Town Council work to address traffic congestion in the area? At this time until the soccer stadium is built we are just status quo. Once it does get built, and the road promised is built, that should help reduce the anticipated traffic congestion on a daily basis. When there are events, the town and county should have exit strategies for the traffic. Good question. I would say our entryways, including Evergreen Mill Road and Sycolin Road are where we need to focus. We also need to work with the county and state on widening Rt. 15 bypass and the northern passage out of Leesburg. Those are definite concerns that will need to be addressed during budget deliberations. My top three priorities if elected to Town Council will be to focus on smarter growth and contribute to sensible growth decisions so we can ensure green space and the beauty, charm, and soul of the town remain intact. Another priority will be to ensure transparency and trust in the local government and council of Leesburg. I want citizens to be informed about what’s going on in the town before things are finalized so there are no surprises to citizens. This includes everything from trash collection and snow removal all the way to development and growth. Last of my top three priorities will be to establish a working relationship with the county so that areas like the Joint Land Management Area, and overcrowded schools can be a collaboration that the council works on alongside the county as a partner. Not just an informal, know-each-other and say hello kind of relationship but a real working-together effort. This all ties back in to making sure there are no surprises when it comes to what the county is working on, or issues that will directly affect the citizens of Leesburg. Since I am a new candidate and have not yet served on council it’s hard to say from the outside looking in if the council has become more partisan. The election process itself certainly has become more partisan given that it now coincides with the national races; however, the position itself is non-partisan and I believe the things the council works on does not lend itself to partisanship. Even though the council may be comprised of a group of people with different political beliefs, I would hope working together for the betterment of this town we live in would take priority over politics. It will most definitely be my priority if elected. The town is wonderfully rich with history — the good, bad, and the heartbreaking. Our history is one of the charms of Leesburg and a draw for so many to live here and visit here. One of the biggest threats to historical preservation is always funding and volunteer time. It takes both time and money to work to preserve history whether it’s the Thomas Balch Library, the museum, the various historical sites, homes, and the new historical sites. The town does a wonderful job to ensure preservation now and it would continue to be important to me to ensure these various places get what they need to operate and draw people in to town to experience all Leesburg has to offer. I firmly believe the town and county could work better together in the Joint Land Management Area as well as on developments and the traffic issues, and overcrowded schools that stem from that so there are no surprises to the residents when things are happening in these areas. 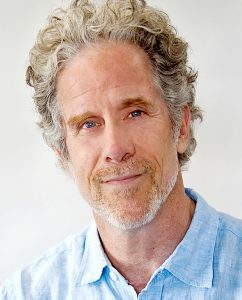 I’m a big proponent of face-to-face meetings and would encourage the town and Board of Supervisors, as well as the School Board, to work out a way to come face-to-face and plan ahead, talk things through, and get on the same page so that the citizens can remain informed when it comes to things the county may be doing that involves the town. While I’m not sure I know enough yet on this issue to properly give a position, I will certainly start looking in to why some of the members of council may feel this way. I’m always willing to listen and understand where someone is coming from to work together. That being said, my first thought is that with more monetary involvement from the county would most certainly come more of a requirement from the county to have a say with what Leesburg does with those areas. If this were to happen, there would need to be clear lines and expectations drawn out of what comes along with that money. I think affordable housing is definitely a need in town. I also think there are additional ways the town could help get people in to Leesburg to fill the positions and gaps in the service industry. Perhaps public transportation methods such as a bus that brings people in from other parts of the surrounding areas could help alleviate the issue. There isn’t a lot of space left in the town to develop since there has been so much growth over the last several years. With the remaining new developments up for review, the town could work with the developers on potentially including affordable housing units within the residential neighborhoods they intend to build. Council can keep the positive momentum going in the historic downtown by doing a few things. Continuing to help advertise and promote the historic downtown is one of the best ways they can help. Additionally, allowing businesses to operate without a bunch of red tape and restrictions would also allow those individual businesses to grow, improve, and continue the economic surge in the historic downtown. This is going to be a huge concern once the soccer stadium opens and it’s important that council, the residents, the county, and the soccer stadium all work together to ensure this doesn’t become a mess. One way to help alleviate traffic congestion in the area could be to ensure there are trained staff from the stadium in addition to local law enforcement working together to guide and direct traffic during events. In the long run, however, we’re all going to have to work together for a more lasting solution. There are quite a few transportation priorities the town needs to focus on but I believe the southeast and southwest portion of town to include Rt. 15, the various neighborhood roads that connect, and Evergreen Mill Road needs major attention. These roads are extremely overcrowded and dangerous at various rush hour times of day. With the potential of additional development of the Rogers Farm, Meadowbrook, and Westpark, the already over-capacity roads will become gridlocked. I believe as a town we need to focus some attention, and quickly, on how to improve and alleviate traffic in that area of town. After meeting with several of our police in town there is a very apparent need for additional resources to be focused on the police department. Public safety and getting the police department what they need should be one of the top priorities of the town. Many may say “well Leesburg is so safe, let’s focus attention elsewhere.” Leesburg is safe because of our dedicated police but they are also overburdened and understaffed which is a recipe for disaster. Let’s get out in front of the safety of our town and residents and provide the resources our police department needs. As with any budget there are areas that can be improved and costs either reduced or reapplied elsewhere to ensure we keep a low tax rate and not overburden our already double-taxed citizens. Transportation is one of our most important issues. With new technologies fast upon us council and staff need to rethink how we approach transportation design and allocate resources to infrastructure. Additionally, Leesburg needs to expand its own bus system into a much more robust and convenient option. We need a transit network which offers service after 6 p.m. and on the weekends, especially for those who don’t drive. Bike and pedestrian paths are a must. Regarding development, Leesburg needs to continue its review process of the comprehensive plan. Attention needs to be concentrated on revising the guidelines for the Crescent District so that we have a solution that is financially feasible for developers and also satisfies long-term vision goals of the town. If it is our intention (and it should be) that we create a distinct and vibrant identity for Leesburg, then the entrances to town are critical for the vision of our community. Part of that vision should be placing our utility infrastructure underground. The environment is a critical topic; there is no other issue that will affect us more immediately and directly. What are the possibilities for less disruption and better restoration of project sites during and after development? We need increased use of pervious surfaces to retain groundwater, and more diverse landscaping with larger trees. The town and its residents need to rethink the use of toxic herbicides and pesticides to better protect our air and water for our current and future residents. National politics aside, it is not my experience that the Town Council has become particularly more partisan in its decision-making process. But elections have always followed political leanings. Curiously, in the current town races it seems that candidates claiming neutrality are the ones who are presenting some of the most partisan behavior. While there are historic preservation considerations in several areas of town I assume it is the downtown that this question has in mind. The risks to the integrity of historic preservation, specifically in downtown, are threefold: (1) those who buy property in the historic district (H-1) without being fully informed; (2) property owners and businesses who know they are in the historic district yet take steps that are in violation; (3) lack of enforcement, by the town, of the district’s guidelines. A practical solution would be to inform interested buyers of the obligations and responsibilities of ownership within the H-1. This information should be made available well in advance of the closing of a sale. Additionally, a specific area on the town’s website listing the guidelines must be easily accessible. The town’s Economic Development Department must offer this information to anyone who expresses an interest in starting a business in any area that has historic or design guidelines. Supervision of H-1 guidelines requires adequate staff. It is also critical that the council, staff, Planning Commission and Board of Architectural Review fulfill their various responsibilities to maintain the H-1. Leesburg and Loudoun County absolutely need to work together. Leesburg and Loudoun should definitely be collaborating on transportation, mental health issues, affordable housing and homelessness issues. The town now also works with the county in a collaborative effort to streamline and simplify the taxing process by having the county issue tax bills, a service for which the town pays the county. The town should never shy away from asking the county to contribute to certain activities within Leesburg. Parks are a good example because they are available to all members of the public. If the county wanted to contribute, with no strings attached, to the budget of the Leesburg Police Department that would be a welcomed move. There have been discussions as to whether or not Leesburg would want to be involved in an arrangement by which the county would pay into the operating budget of the Leesburg Executive Airport. A rational argument can be made for such an arrangement because there is no doubt the county benefits to a large degree from being able to tout the airport as an advantage for businesses locating here. I would be cautious in allowing county control in airport operations. I will add that the county should not expect Leesburg residents to contribute more money to county road projects (like Rt. 15) when town residents already pay those taxes at a county level. A good solution to the question of Affordable Dwelling Units has been and continues to be elusive. That said, it is a goal we must achieve. Those who work here in the service and other industries (teachers, first-responders, nurses) should be able to afford to live here. Not only does this help alleviate traffic problems it also makes for a more vibrant and inclusive community. The business activity of downtown Leesburg is indeed very positive and continues to gather momentum. We need to maintain our historic guideline standards, applied fairly and evenly, and see to it that all new businesses understand the benefits to businesses and residents alike in preserving the integrity of the H-1 district. We are starting to see a diversity in the range of new businesses downtown, and this can only be beneficial for all. With Crescent Place up and running and Don Knutson’s King Street South project well underway, we have two great projects offering residents options for living within walking distance of the fine shops and dining establishments in the downtown. Don Devine’s Tally Ho music venue is proving to be a consistent draw to its Market Street location. The decision by the county to keep Leesburg (and everyone else) in the dark regarding the soccer stadium has made the town’s planning decisions all the more difficult. Years ago, the town committed to keeping Kincaid Boulevard closed until such time as Crosstrail Boulevard is completed to Sycolin Road. The Board of Supervisors was well aware of this position when they voted to proceed with the stadium project. Now that the board has wisely decided to include the town in the Traffic Management Plan, Leesburg will do its best in dealing with the traffic which will be produced by the presence of the stadium and additional practice fields. This will involve coordinating with the county sheriff’s department and Leesburg police officers to manage important intersections in and around town, and the re-syncing of signal lights to accommodate traffic flows. All of this will be more of a challenge with the closure of the Battlefield Parkway/Rt. 7 intersection prior to the completion of Crosstrail Boulevard to Sycolin Road. The county should reimburse the town for traffic management expenses. We need to start looking at different, newer models in considering how we address our transportation needs. Extensive bike trails and walking paths are a must. There is no question that autonomous vehicle technology is coming and, with it, potential changes in what we require as passengers share more rides with others and parking needs become entirely different. With this in mind I question the wisdom of adding lanes to the Leesburg Bypass from the Greenway to West Market Street, a project which would have a substantial negative impact on all the neighborhoods along that route. We know from past experience that we cannot build our way out of traffic congestion. New technology should also help us assist residents in getting about town without getting into their own car. Before we spend, or plan to spend, hundreds of millions of dollars and decades in design phases and rights-of-way acquisitions we need to seriously consider where we will be in the next 15 years. Leesburg residents want, and should receive, first-rate amenities. People want to live in a town where they don’t have to think about trash pickup or water and sewer services; they want a clean, well run town where employees are available to respond to their concerns. People are generally not aware of how many employees it takes to provide adequate services, until we are short-staffed, and needs go wanting; construction projects are not be reviewed and approved in a timely fashion. Without adequate staff it becomes difficult to ensure that developers are meeting their obligations as their projects proceed. Law enforcement cannot respond in as timely a fashion. Necessary infrastructure projects will be slowed down, and we will find it more difficult to ensure compliance with historic preservation guidelines. Employees are not volunteers, and they should be paid at a level where we can attract talented people. It is town residents who must decide if they are willing to pay for the level of service they expect. I, along with Mr. Dunn, spearheaded the petition drive to change town elections from May to November (along with citizens of all political persuasions) and I believe that under state law, once moved, they cannot be changed back — maybe via another petition drive, but I am certain the Mayor and Council cannot do that. As for Mr. Campbell’s other statement: “We must sit down face to face with the Loudoun County Board of Supervisors and work on a solution which also includes the construction of Crosstrail Boulevard.” The Board put Crosstrail Blvd. back in the CIP in May and bonds have been approved for its construction. There’s an additional referendum on the ballot Nov. 6 that includes Crosstrail, too. Construction is slated for 2019 (Village at Leesburg to Kincaid). If Ron wants to be mayor of Leesburg, he needs to do a little more studying up on the facts before speaking. My suggestion is he serve out at least one term on Council and learn a bit more about how things work before running for higher office. No surprise that Ms. Maddox couldn’t be bothered to answer the questions. By her own admission, she won last time w/o doing a thing. Looks like she’s employing the same strategy while on the Town Council and in her re-election bid. Mr. Martinez’s answers are his typical canned responses which say nothing. No word from Mr. Steinberg on trees, surprisingly. Come on, Leesburg, we can do better than this!! Ms. Maddox made the choice not to participate. That is good to know. Unlike all of the other candidates, I have also seen zero effort from her to try to win my vote or the votes of those around me in my community. If she isn’t talking to local residents about their issues and concerns, nor even making the time to talk to one of the local papers, why is she even running? An excellent and informative piece. Great Job LN. This proves yet again why serious citizens, actually concerned about our local community, rely on Loudoun Now to provide the real information they need. Though none of these folks are in my food chain, I’m happy to see I’m not alone in seeing the double secret probation corporate welfare scam known as the “soccer stadium” for what it is. Martinez responses show so much about this political HACK. He is no leader. 16 YEARS on council. He wants 4 more years. What he is saying is not his effort to be brief. It truly is his complete effort all the time. Not sure about Burk as far as total time on Council but I think it is less then Dunn. Dunn has 10 years I think and Old Lovable Mumbles Martinez 16 YEARS SIXTEEN! Just look at the detail Dunn provides compared to Martinez or anyone else for that matter. Dunn is not running against Mumbles (he can’t get through one answer on Council without mumbling), but just the time of service should show a better response Martinez. Only those who don’t want a voice on Council and complete unquestioning power of the Town Government. So vote Martinez if you want no voice with Local Government.